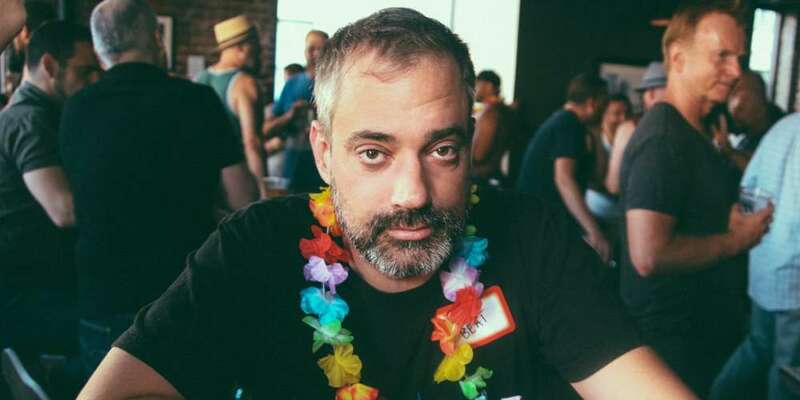 The local queer community of Los Angeles is reeling at the loss of Precinct co-owner Thor Stephens, who passed away earlier this week. “The cause of his death is not yet known, but if there is any solace to be taken, it is that he at least appears to have gone peacefully, sleeping in his bed,” his partner Brian McIntire posted on Facebook this morning, also taking time to thank friends and staff for their outpouring of sympathy. I met Thor Stephens seven or eight years ago at Faultline, one of the few gay bars left on the “East Side” of Los Angeles. Thor was the manager of the bar at the time, and along with his partner Brian, Faultine’s resident DJ, they were always a highlight of a night out. Both guys have always been loving, genuine, funny and more than welcoming. For them, creating safe, inviting spaces for the queer community wasn’t just their line of work — it’s what drives them. I spent many a late night inside Faultline, propped at the bar with Thor and a rotating roster of our many mutual friends, conversing as he smoked his hand-rolled cigarettes, regaled us with his sarcasm-drenched commentary and offered (way too often) to comp our drinks. Years later, Thor and Brian parted ways with Faultline to fulfill what had long been their dream: to open a bar of their very own in Downtown Los Angeles. At the time, DTLA wasn’t exactly crawling with queer people, and queer spaces were few and far between. But after more than a year of hard work — which included Thor and Brian literally building their dream bar by hand — in 2015 the duo opened Precinct, ushering in a new wave of queer nightlife to the city. 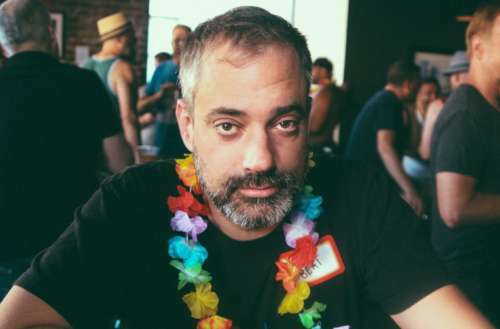 Today there are no fewer than four gay bars in Downtown L.A., and even more queer parties that take place throughout the neighborhood, and Thor Stephens and Brian McIntire are more than partly responsible. Together they made Precinct — and Downtown L.A. — a go-to destination for LGBTQ people on any given weekend. Parties at Precinct regularly feature some of L.A.’s most notable queer talent, like the Boulet Brothers, whose Queen Kong party regularly ships in the country’s most famed drag talent; international bear party Bearracuda, which just recently began a monthly residency; weekly Drag Race viewing parties hosted by Willam; and scores of queens who got their start and honed their craft on the Precinct stage. 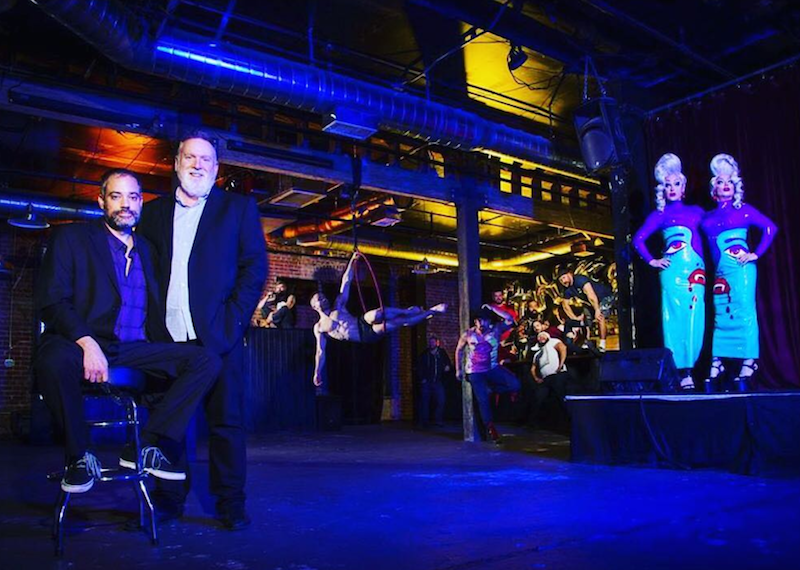 Thor Stephens and his partner Brian (who became his husband during a ceremony on their bar’s own stage) were responsible not just for creating a nightlife venue catering to the city’s queer people — though they most assuredly did that — but for creating a family among L.A.’s queer nightlife professionals. Precinct was a salon or workshop of sorts for the city’s best DJs, promoters, drag queens, go-go dancers and professional drinkers alike. 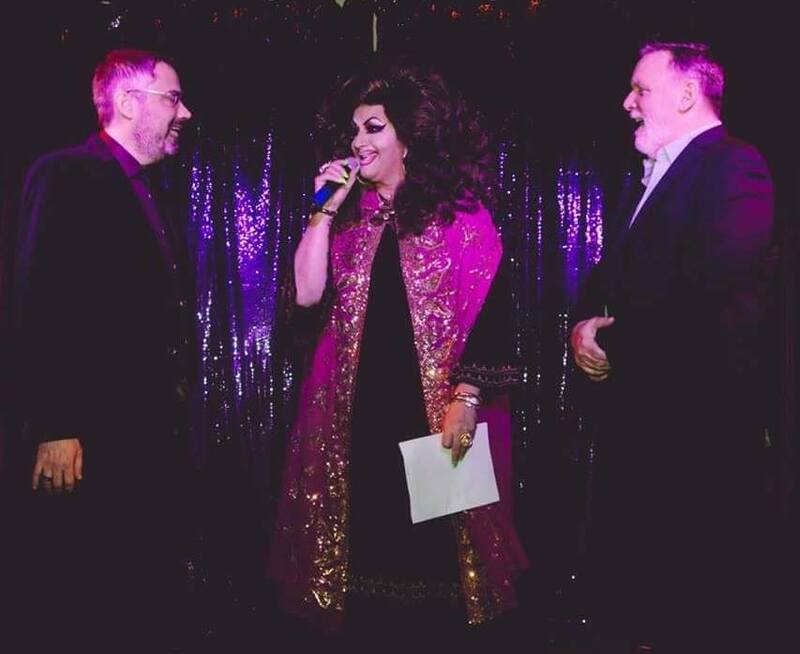 I’ll always remember Thor Stephens fondly, through our weekly conversations about music, drag, local politics or — his favorite — the latest parties he was welcoming into Precinct, and the latest DJs or drag talent he was super stoked to grant a platform to. I know many others feel the same. This Saturday, Feb. 24, from 3–7 p.m., there will be an informal gathering at Precinct in Downtown L.A. to memorialize the life of Thor Stephens. The loss of Thor has hit the local L.A. queer community hard, particularly those nightlife lovers, and many have taken to social media to express their sadness at the tragic news. We lost someone who helped create the queer community in DTLA and built a bar with his bare hands. You will be missed Thor. I first worked with Thor at Hamburger Mary’s in WeHo when I hosted karaoke. He was the DJ and he was just so darn easy to “abuse” anytime there was a technical problem – and there were MANY! Years later he opened Precinct and Thor made sure that a giant portrait of me taken by Austin Young was part of the sleazy decor. He always made me feel like a star. Mario Diaz & I did BONKERZ! at Precinct and Thor always went above and beyond when we asked for anything. He was that guy who was all too happy to remain behind-the-scenes, back in the shadows making sure everything was okay while others were in the spotlight making it look like they were doing all the work. And then I had the honor of officiating at the wedding for Thor and Brian McIntire. I was a little worried that maybe I was being too irreverent, but Thor wanted it to be anything but normal. The ceremony was campy, but their love was the real deal. Thor, I will miss you.